Vital Pet is an exclusive yeast free vitamin for dogs that provides a full spectrum of vitamins, minerals and antioxidants needed for a dog to maintain his good health. Because of poor soils in which foods are grown, low quality ingredients or over-processing, some of the best dog foods available can lack sufficient amounts of vitamins and nutrients needed for optimum health. Regardless of the quality brand of food you are giving your dog, most likely it will not contain all of the essential vitamins that your dog needs for his healthy, active lifestyle. We use chelated minerals in Vital Pet to ensure easy absorption; minerals that are not chelated are hard to absorb and are mostly passed through the digestive tract. The end result is that your dog will derive more benefits from the chelated minerals that are used in Vital Pet. Additionally, many leading brands of dog vitamins are loaded with sugar and corn syrup. Vital Pet, like all of our products, does not contain artificial fillers, preservatives or additives. Yeast allergies in dogs have a variety of symptoms and with the help of your veterinarian you should be able to determine the cause. Canine yeast allergies may affect a dog’s ears, his skin, and his digestive system. Dog skin problems may include rashes, frequent scratching or chewing on the legs and feet; they may also have chronic ear infections. 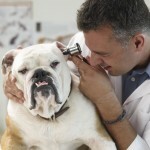 Once your veterinarian has determined the cause, he will be able to recommend different treatment options for your dog. Can be fed as a chewable treat or crushed and added to your dog’s daily meals. Bee pollen has been used for medicinal and supplemental purposes for thousands of years. Scientific analysis of bee pollen has shown that it is made up of about 40% protein, with more than half of the protein made up of free amino acids which are readily absorbed by the body. Bee pollen is often referred to as “nature’s perfect food”. With 22 amino acids, Vitamin C, B-Complex and folic acid, polyunsaturated fatty acids, enzymes, and carotene, bee pollen combines in one source most of the major antioxidants. It also contains essential trace elements such as iron, zinc, manganese, copper, calcium, magnesium, and potassium. Calcium is the most prevalent element in the body. Found in virtually every organ tissue it plays an important role combined with phosphorous to support the teeth and bone structure. Nerves and muscles require calcium and magnesium to function normally. Many of the enzymatic processes in the body, including coagulation, involve calcium. A member of the B Vitamin family necessary for the structure and functioning of cells. A basic constituent of lecithin that is found in many plants and animals. It is important as a precursor of acetylcholine, as a methyl donor in various metabolic processes, and in lipid metabolism. A type of algae grown in fresh water that provides a good source of protein, fats, carbohydrates, fiber, chlorophyll, vitamins, and minerals. Chlorella is used to stimulate the immune system, promote healthy cell growth and repair, and to increase healthy bacteria in the intestine in order to aid in digestion. Copper is necessary for the growth, development, and maintenance of bone, connective tissue, and other body organs. Bone, cartilages, ligaments and tendons require this micromineral in their production. It is involved in the formation of red blood cells, the absorption and utilization of iron, and the synthesis and release of life-sustaining proteins and enzymes. These enzymes, in turn, produce cellular energy and regulate nerve transmission and oxygen transport. Copper also stimulates the immune system to help fight infections, repair injured tissues, and promote healing. Copper also helps to neutralize harmful free radicals that can cause damage to cells. Folic acid, also known as vitamin B9, is a member of the vitamin B family that stimulates the hematopoietic system and plays an important role in cell maintenance and repair. Like all the B vitamins, it plays a role in the metabolism of fats, carbohydrates and proteins into glucose that the body burns for energy. Folic acid helps the body to make RNA and DNA, the body’s genetic material that contains all the code for new cells. Inositol is a member of the B vitamin family that helps with the formation of cell membranes, nerve transmission and transportation of fats. Sometimes called Vitamin B8, Inositol functions closely with choline as one of the primary components of cell membranes. Like choline, it is a lipotropic agent or fat emulsifier, and helps metabolize fat and cholesterol by breaking down fats into smaller particles that are easier to remove, reducing fatty build-up in the body organs. Inositol is also essential for hair growth and is instrumental in maintaining healthy skin. A nutritionally essential element that is needed for the normal metabolism of cells (the process of converting food into energy). A metallic element found in certain minerals, in nearly all soils, and in mineral waters. It is an essential constituent of hemoglobin, cytochrome, and other components of respiratory enzyme systems. Its chief functions are in the transport of oxygen to tissue (hemoglobin) and in cellular oxidation mechanisms. A metallic element whose salts are essential in nutrition, being required for the activity of many enzymes, especially those concerned with oxidative phosphorylation. It is a component of both intra- and extracellular fluid. Benefits include maintaining bodily nerves, muscles and bones; also helps in protein synthesis and cellular metabolism. Another of the trace elements crucial in development of bones, joint and connective tissue. A co-factor for many enzymes such as arginase and alkaline phosphatase in the liver. A water-soluble vitamin of the B complex occurring in various animal and plant tissues. It is required by the body for the formation of coenzymes NAD and NADP, helps supply energy to the cells; may also help improve joint mobility. An essential element in the diet, a major component of the mineral phase of bone, and is abundant in all tissues, being involved in some form in almost all metabolic processes.t is an essential element in the diet, a major component of the mineral phase of bone, and is abundant in all tissues, being involved in some form in almost all metabolic processes. A primary electrolyte ion involved in the intracellular fluid of muscle and other cells; plays a significant role in the regulation of fluid volume and maintenance of the water-electrolyte balance. Retinol (Vitamin A) and derivatives of retinol play an essential role in metabolic functioning of the retina, the growth of and differentiation of epithelial tissue, the growth of bone, reproduction, and the immune response. Vitamin B1 is also known as thiamine or thiamin. It is one of the B Complex vitamins, and needs to be taken together with the other B vitamins. The B vitamins play an important role in maintaining the muscle tone in the gastrointestinal tract, as well as healthy skin, eyes, hair, liver, heart, and nerves. These vitamins, especially thiamine, are co-enzymes that are vital for energy production and many essential chemical processes in the body. Vitamin B5, or Pantothenic Acid, is one of the B Complex vitamins which is required by all cells in the body. Pantothenic acid, like the other B vitamins, plays a critical role in energy production. The body converts most of the vitamin B5 it consumes to coenzyme A, or CoA. Coenzyme A is needed for many essential chemical reactions in the body, including the synthesis of hormones and release of energy. Vitamin B12 is one of the B-Complex vitamins. It is also called cobalamin, cyanocobalamin, or cobamide, as it contains the heavy metal cobalt. Like the other B vitamins, Vitamin B12 has a key role in maintaining healthy nerves and skin. It is also important for energy production, red blood cell formation, creation of DNA (the genetic material in all cells), and metabolic processes of the body. Vitamin C, also known as ascorbic acid, is an important antioxidant vitamin that plays a mainly protective role in the body. Vitamin C protects the body against damage from free radicals that accelerate the aging process and are largely responsible for many degenerative diseases. Vitamin C plays a critical role in the body’s immune system function as it stimulates production of interferon and antibodies that fight bacteria and viruses to protect against infections and illnesses. Vitamin D, an essential nutrient, is also known as calciferol and plays an important part in the deposition of calcium in bones and building of bone density. Vitamin D is needed to promote adequate levels and use of calcium and phosphorus, which is especially vital for development of bones and teeth, and for ensuring normal bone mineralization and growth. Vitamin E is a powerful antioxidant that neutralizes the free radicals in the body that cause tissue and cellular damage. Studies show that Vitamin E promotes DNA repair and immune activity, and may prevent or delay some diseases. Vitamin E also boosts the body’s immune system ability to fight off infectious diseases and is important for red blood cell formation. Vitamin K is needed by the body, specifically the liver, to make proteins (called clotting factors) that are necessary for blood to coagulate properly. Vitamin K also acts as an antioxidant to neutralize harmful free radicals that damage cell membranes, and so prevents oxidative cell damage. Vitamin K is also needed for formation of cartilage, bone and dentine (part of teeth). One of the trace elements, zinc plays a critical role in the formation of many enzymes as well as synthesis of proteins and cell division. While zinc is most noted for its role in healthy skin, it is estimated to be involved in over 100 enzymatic processes from formation of connective tissue to immune system function. Get Special Offers and Our Blog Posts! Orders over $35 Ship Free! These statements have not been evaluated by the Food & Drug Administration and the products are not intended to diagnose, treat, cure, or mitigate any disease.